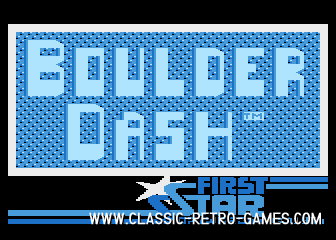 A most excellent remake of Boulderdash. This version includes all original levels, but also over 250(!) additional levels. All real Boulderdash action is here: the butterflies, the growing acid, it's all here! If you have enjoyed Boulderdash back in the days (and who's hasn't?) you really should try this Windows remake! The graphics are a bit polished and new, but still give the retro feeling. Player1 is much alike the original character, as well. Gameplay is exactly how it should be. Sound effects are much alike the original, but also a but polished. This Windows remake runs without installing. So download and enjoy this fantastic Boulderdash remake for PC! Currently rated: 4.5 / 5 stars by 35 gamers.